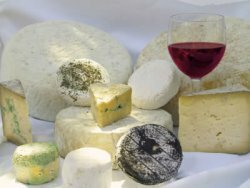 Sample an array of sumptuous British & French cheeses, expertly chosen to complement a wonderful selection of wines. This will be tutored by experts in our informal but intimate surroundings. Enjoy a memorable evening of taste and knowledge la Trouvaille style.